Feeding hoppers are executed in stainless steel and their surfaces can becovered with Teflon. For cleaning purposes, surfaces are rounded without welds. The portioning system can be completely disassembled for cleaning operations. Oil nebulization system is an option. Translating hoppers are controlled by a PLC for the synchronization of the elevator, oiling system and output points. 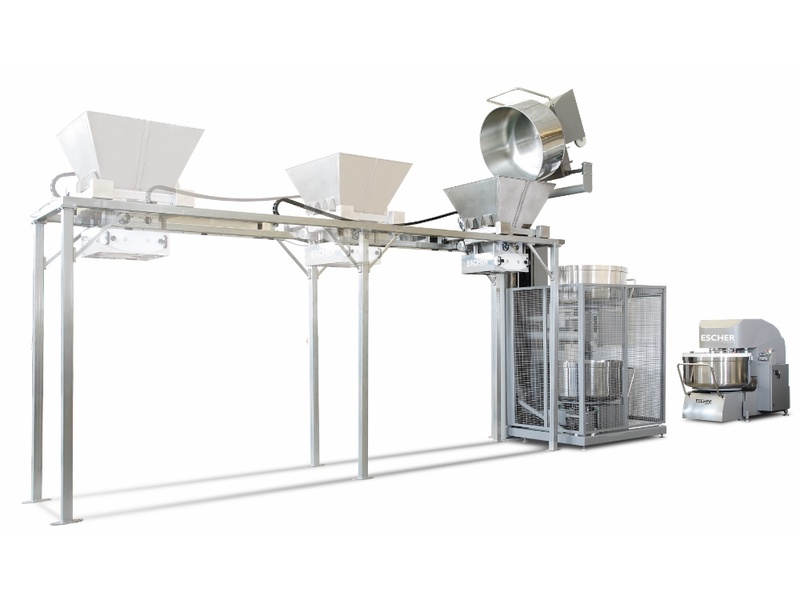 Feeding hoppers are manufactured in different dimensions and heights,according to the specifications of the production line.